Create a record of your little one's birth! 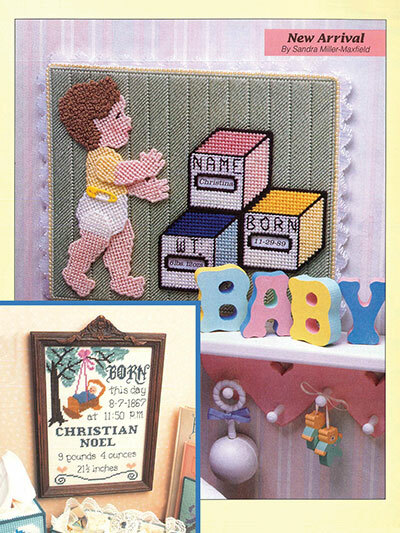 These adorable wall hangings make great gifts and will look fabulous in a nursery. 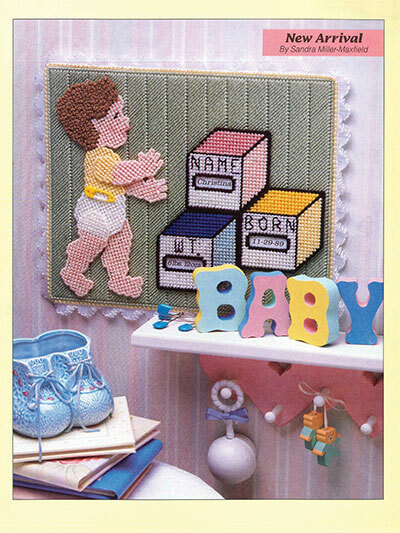 New Arrival is made using 7-count plastic canvas and worsted-weight yarn. 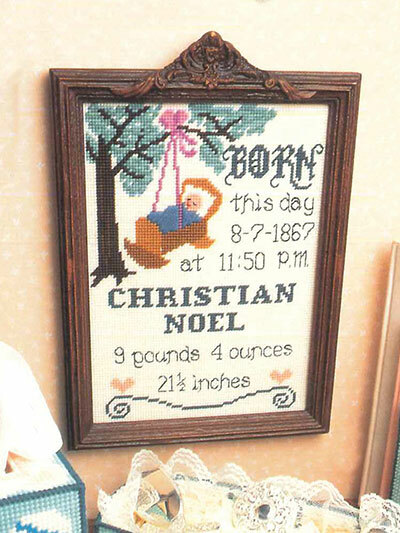 It measures 10 5/8"W x 12 7/8" T. Birth Record is made using 10-count plastic canvas and tapestry or needlepoint yarn. It measures 9"W x 12"T.